Rome’s iconic Trevi Fountain, Fontana di Trevi, was officially opened by Pope Clement XIII on this day in 1762. Standing at more than 26 metres high and 49 metres wide it is the largest Baroque fountain in Rome and probably the most famous fountain in the world. 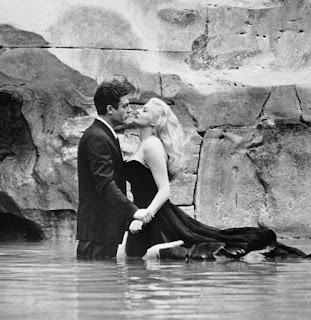 It has featured in films such as La Dolce Vita and Three Coins in the Fountain. For more than 400 years a fountain served Rome at the junction of three roads, tre vie, using water from one of Ancient Rome’s aqueducts. In 1629 Pope Urban VIII asked Gian Lorenzo Bernini to draw up possible renovations but the project was abandoned when the pope died. In 1730 Pope Clement XII organised a contest to design a new fountain. The Florentine Alessandro Galilei originally won but there was such an outcry in Rome that the commission was eventually awarded to a Roman, Nicola Salvi. Work on the fountain began in 1732 but Salvi died in 1751 when it was only half finished. Made from Travertine stone quarried in Tivoli near Rome, the fountain was completed by Giuseppe Pannini, with Oceanus (god of all water), designed by Pietro Bracci, set in the central niche. Coins are traditionally thrown into the fountain using the right hand over the left shoulder. This was the theme of the 1954 film Three Coins in the Fountain and the award-winning song of that name. An estimated 3000 euros are now thrown into the fountain each day and the money is used to subsidise a supermarket for needy people in Rome. 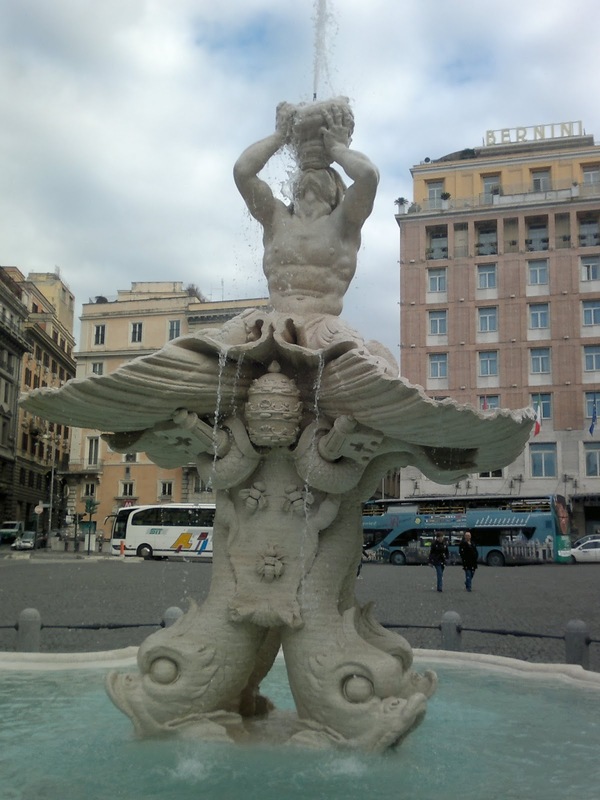 One of Gian Lorenzo Bernini’s most spectacular works in Rome is the fountain of the Four Rivers, Fontana dei Quattro Fiumi, in Piazza Navona, with four marble figures symbolising the four major rivers of the world. It was designed in 1651 for Pope Innocent X. 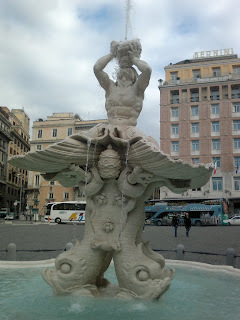 The Fountain of the Tritons, Fontana del Tritone, in Piazza Barberini in Rome was designed and built by Bernini near the entrance to Palazzo Barberini, the home of Pope Urban VIII’s family.